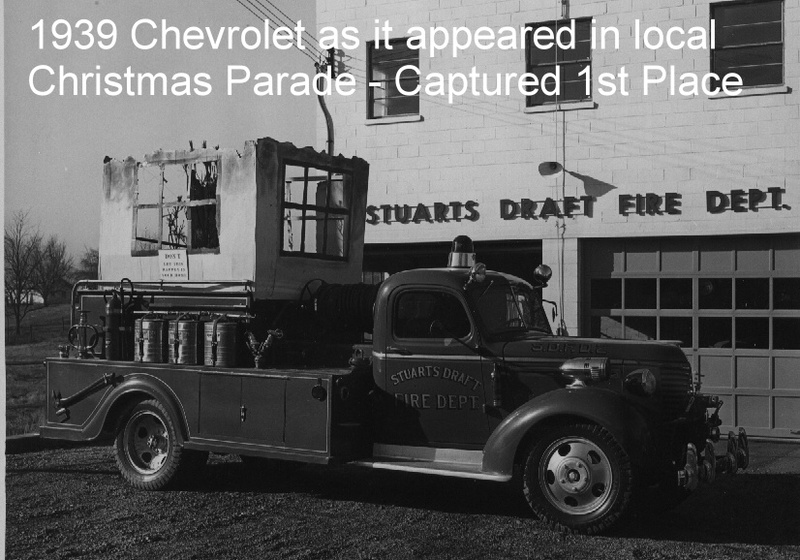 This entry captured first place in a local Christmas parade and received a prize of $50.00. The small generator used to keep the lights burning in the house would not run properly so the individual (Henry Appl) kept pulling the rope to keep the generator running, and giving the impression the lights were going on and off. This was not what was intended but the results proved effective. The sign on the truck reads "Don't Let This Happen To Your Home"